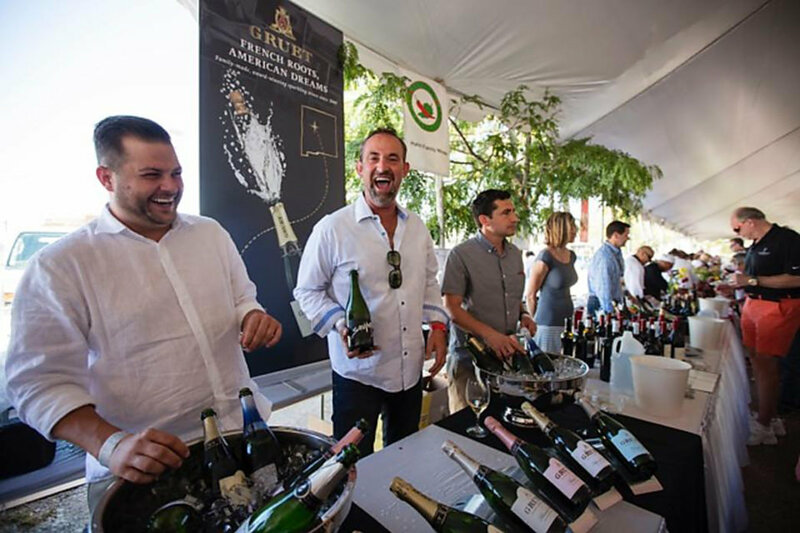 All across New Mexico, winemakers and wine experts regularly get together to celebrate new vintages and toast older favorites at wine festivals. These convivial gatherings bring together wine-lovers to sample the newest releases and purchase special-edition wines, but they are also great opportunities to meet winemakers in person. Here are eight festivals worth adding to your bucket list, complete with live music and dancing, finger-licking meals from food trucks, and wine-themed seminars. Perched between the dramatic crevasse of the Rio Grande Gorge and the towering peaks of the northern Sangre de Cristo mountains, Taos is an outdoor lovers’ paradise. But in this town and state adventure and culture go together like wine and cheese. For one winter weekend, skiers can slush down the slopes, often straight to aprés ski tastings at Taos Ski Valley and around town. Other weekend highlights include tasting reserve wines, and a grand tasting of some of the more than 100 wines available — served alongside nibbles from Taos and Taos Ski Valley’s finest restaurants. Guest-chef luncheons and wine dinners complete the weekend revelry. Nestled in the Captian Mountains in the midst of the Lincoln National Forest, the vacation town of Ruidoso feels even more relaxing while sipping wine by the glass and perusing the booths at this springtime fête. 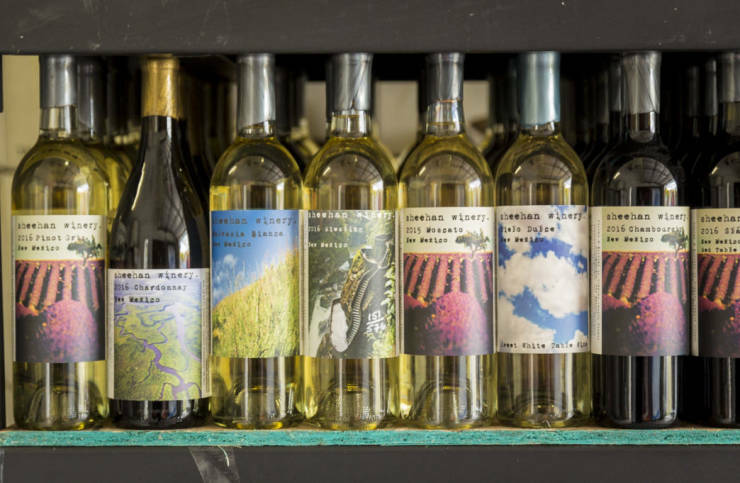 Vendors showcase everything from handmade crafts to chocolate and candy, the latter of which pairs wonderfully with samples from the dozen New Mexico wineries on hand. Formerly known as the Southern New Mexico Wine Festival, this gathering has been toasting the state’s wine for more than 25 years. 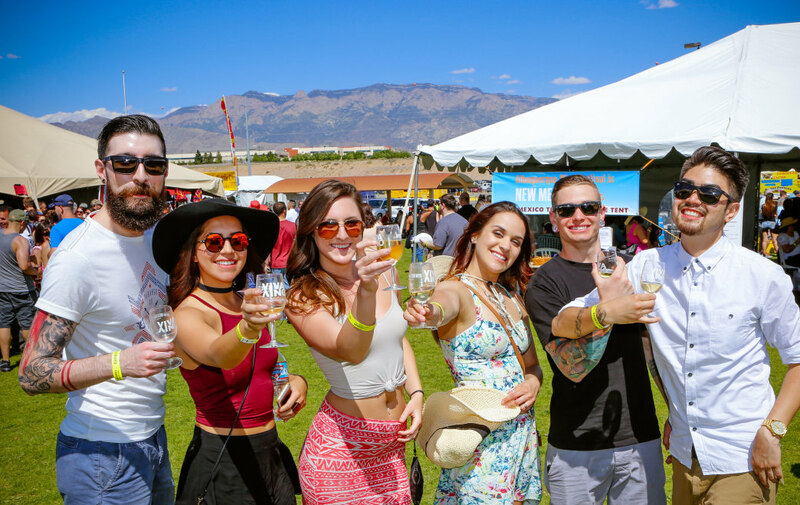 Held at the Southern New Mexico State Fairgrounds, the Memorial Day weekend event features tastings of vintages from more than 20 wineries, a dozen food stands, and a rollicking line of up live music — all in the southern New Mexico sun. Held at Balloon Fiesta Park — host to another of the state’s most popular events, the Albuquerque International Balloon Fiesta — this Memorial Day weekend soirée is the largest wine festival in the state. More than just local wineries are on hand—live music, international food, and artists pop up in the relaxed, park-like setting. Marking its 25th year in 2018, this is the capital city’s longest-running festival, but the history of the setting is far longer than that. El Rancho de Los Golondrinas (The Ranch of the Swallows) was a pajare (a resting place) on El Camino Real, a historic trading route that ran between Mexico City and Santa Fe. Today, the ranch is a living museum dedicated to heritage and culture of Spanish Colonial New Mexico, including original buildings on-site to set the scene. It’s in this enviable environment, amid historic adobes, farm fields, and stunning blue skies, that festival-goers sip tastes from local wineries each summer. The bounty of the state’s largest wine-growing region — southern New Mexico — is front and center at thislate-summer festival. Jump into the celebration with barefoot wine-stomping in barrels, yard games like giant Jenga and Connect Four, and drinks in the sun. In a slightly more serious vein, wine talks teach about tasting and flavor profiles. Every Labor Day weekend, the state’s top wineries uncork more than 100 of their finest vintages for attendees to taste and take home at this jubilant festival. Bring along a hat and sunscreen for this fun-in-the-sun festival with live music, artist booths, and food trucks. The Santa Fe Wine & Chile Fiesta is the state’s top culinary festival, attracting top national chefs and winemakers (and a fair share of gourmands) to the Land of Enchantment for a five-day epicurean event. The calendar includes wine dinners, wine seminars, cooking demonstrations, guest chef luncheons, guest chef tours, and a reserve tasting and wine auction, and the schedule features more than 75 Santa Fe restaurants and 90 wineries. The Grand Tasting — an indulgent affair where top restaurants present serve a smorgasbord of small plates and the wine flows freely — is a highlight of the fiesta. (The event sells out months in advance, so get your tickets early.) In previous years, guests have included Southwest food maven and James Beard Award winner Rick Bayless, and Matthew Accarrino, head of a Michelin one-star restaurant; and master sommeliers such as Joe Spellman, Tim Gaiser, Fred Dame, Jesse Becker, and Brian Cronin.